Discount Windows Inc offers free, no obligation analysis of your windows and outside doors. Let us come out and test the insulation around your windows with an Infrared camera, this will allow us to determine where you’re loosing your energy dollars. With a free inspection we will also check if windows hardware might be an issue, things like weatherstrips or glass rails might need replacement. And lastly we will examine for moisture and structural integrity to let you make the best choice on your home improvements. What is done during insulation? 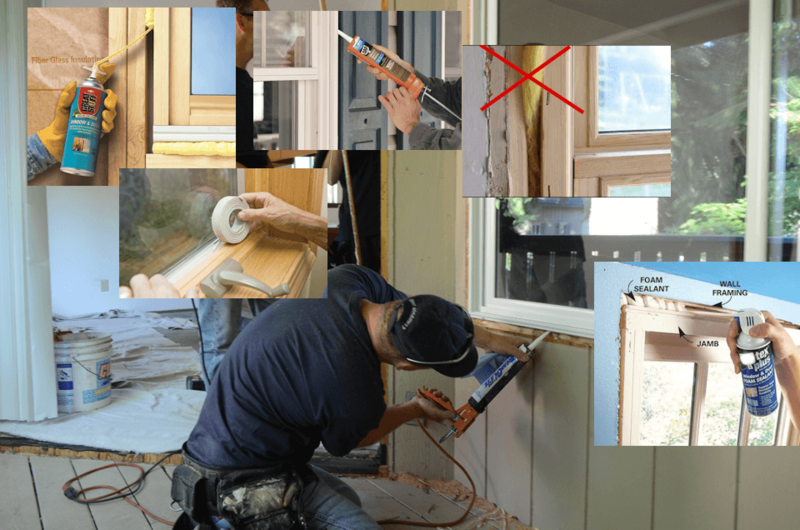 Removing your window casing, to get to the problem areas. Removing your old fiberglass insulation, the old insulation is usually damaged by water or infestations. Sealing all spaces around the window, creating vapor barriers with closed cell expanding foam. Foam insulation ensures good separation between outside elements and inside environment. While the cost of insulation may seem like something you may wish to avoid, quality insulation will pay for itself with added comfort and savings on heating and cooling expenses. The price per single window insulation is $199, this includes material and labor. Check with us on pricing for whole house window insulation. Caulking around the glass pane to seal. Broken hardware might not let you properly close your window to keep the cold away, and with time weatherstrips are worn through and are the reason the cold air gets inside. The price per single window tune up is $199, this includes material and labor. Check with us on pricing for whole house window insulation. *Basic hardware, if brand name hardware is necessary to order, additional charges for the hardware will be added with customers approval. Special winter pricing for windows insulation and windows tune up package is $299, this includes material and labor. Check with us on pricing for whole house window insulation.